The visit took place within the visiting session of Verkhovna Rada of Ukraine Committee on Budget Issues, chaired by Andrei Pavelko. 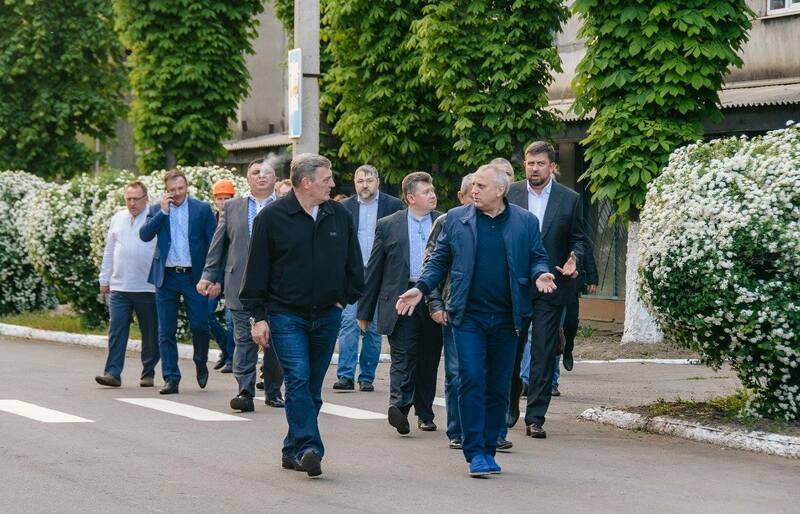 Maxim Efimov, the people’s deputy of Ukraine, the president of PJSC “EMSS” personally gave the tour for the guests from the capital. During familiarity with the production capabilities of the enterprise, deputies of Verkhovna Rada visited the main production departments and saw the core stages of manufacturing for significant orders. 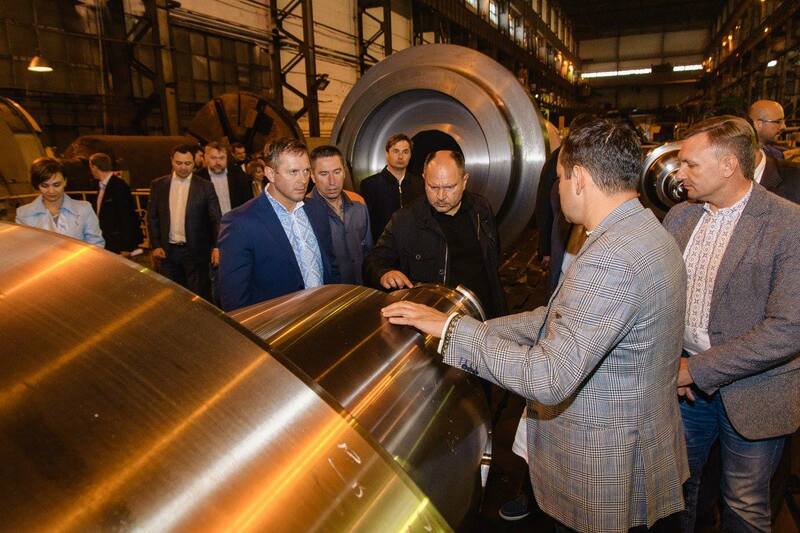 The guests were shown advanced metal working machine and mechanical processing equipment, as well as the unique products manufactured by Energomashspetsstal. 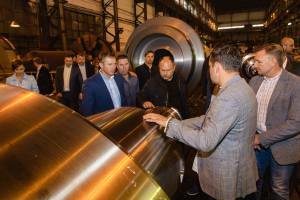 During the tour Maxim Efimov told that PJSC “EMSS” is the largest Ukrainian special cast and forged products manufacturer of individual and small-scale production for metallurgy, shipbuilding, nuclear power and mechanical engineering industries. Products with the brand “Energomashspetsstal” are well known in more than 50 countries. According to guest’s opinion, Kramatorsk enterprise “Energomashspetsstal”, without exaggeration, is the Ukrainian smithy, which works effectively for the mechanical engineering and energy complex of our state today. “It impresses. Technology and know-how applied at PJSC EMSS are unique not only in Ukraine, – noted the representatives of the delegation. – By the aid of this kind of technical development ‘s the economy of Ukraine will grow and further integration into the European economy will continue”. Upon the end of the trip, the deputies were grateful to Maxim Efimov, the president of PJSC “EMSS” and Vitaly Gnezditsky, the plant’s general director for a succinct and interesting tour by the enterprise that is very significant for the state.